We have a variety of ways for you to grow at Submerge Ministry Center. Together we can do great things. Planting this church is going to be an awesome adventure and you’re invited! 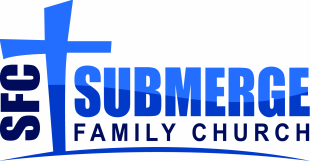 We are believing God for 50-75 people to help us start Submerge Ministry Center. If you would like to join us on this journey, we would love to find the right place for you on our team! Click here for more information on how to get involved. We are a church that is founded on prayer. We can not win the war in the physical if you do not first win the war in the spiritual! We need people who will commit to intercede, pray, and continually speak God's blessings over the launch of Submerge Ministry Center, the team, and the people of Acadiana. If you are interested in joining the prayer team, you can sign-up here. Planting a church is no easy task, and it takes a great amount of financial resources. Your investment into Submerge Ministry Center shows that you believe in the vision. We pray that as you help meet the needs of Submerge Ministry Center through your giving, God would supply all of your needs according to His riches in Glory in Christ Jesus (Philippians 4:19). Click here for more information on how you can help us grow. where we grow together in our faith.